The Patriots head into training camp in less than two weeks and there should be no shortage of competition at a number of spots. As a lead-in to the beginning of camp, we’ll break down the positions and give our take on who is a lock, a near lock for the 53-man roster and who is on the bubble. Next up is the Offensive Line position. So we’re going to take a look at the Patriots Offensive Line. One of the keys to the 2016 success and part of the struggle down the stretch in 2015 had to do with continuity. The Patriots five starters played together nearly wire-to-wire last year and their performance showed. In 2015 injuries decimated the unit and the team couldn’t get any kind of cohesiveness going. The good news is that five starters return as well as some of their top backups. But the team didn’t neglect their offensive line this offseason. With an eye to the future, they drafted two tackles in the 2017 NFL Draft, Tony Garcia, and Connor McDermott. Garcia in particular looks to have been drafted with 2018 and beyond in mind. Although the team lost RT Sebastian Vollmer to retirement this spring, he missed the entire 2016 season with an injury and with the ascendance of Marcus Cannon, the team looks to be in good shape there. So, with that in mind who is locked in and who’s on the bubble? The starting five returns, seem to be healthy and are locked on the roster this summer. Solder returned from IR in 2015 to play very solidly last year. He’s in the last year of his contract and with that in mind, the team has drafted two possible replacements. Moving up and using multiple picks to draft Garcia, he’s obviously someone who Dante Scarnecchia feels can be a left tackle of the future. With Solder in place for at least 2017, there is no pressure on Garcia to produce early. This will be a red-shirt type of year for him to learn the system and develop under the tutelage of Coach Scar. Cannon came out of the doghouse to play very well in 2016. Guards Mason and Thuney are young and physical and should only improve. Andrews is an undersized but smart center and he’s not going anywhere. Unless there is an injury somewhere, I see no changes happening along the starting lineup for the Patriots offensive line in 2017. Last season both Fleming and Karras were the top backups for the tackles and the interior line last year. They both have the inside track for the top backup positions again as well. Karras has the versatility to play either guard or back-up the center David Andrews. He’s not the most athletic guy but he’s physical and tough. Fleming was the swing tackle last year and will be trying to hold off the rookies Garcia and McDermott from taking that job away from him. He’s versatile and can fill in at either left or right tackle, something that is easier said than done. 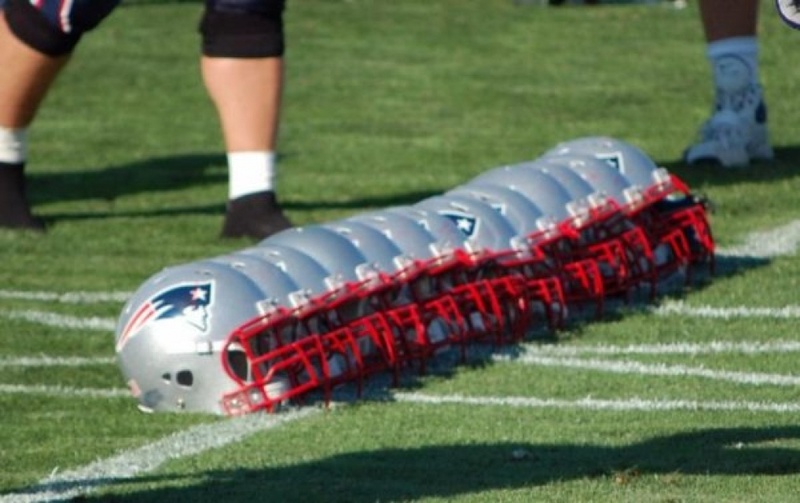 The Patriots have plenty of depth at the backup positions and these players are likely to be fighting for reps in training camp and a most likely only one or two slots. Waddle has been a backup tackle and a blocking tight end but with the depth, at that position, he’ll be pushed hard for a roster spot. McDermott is another intriguing prospect. He’s a guy that the Patriots used a pair of picks to get, albeit in the sixth round of the draft. Would he pass thru waivers if the team tries to stash him on the practice squad? That would seem to be his best bet to make the roster, at least this summer, unless the inevitable injuries occur. With a lot of bodies in camp, this will be an intriguing group to watch. They’ll have the entire preseason to make a case for sticking, so staying healthy and on the field, will be of primary importance. Our next primer will have the Patriots defensive line… stay tuned. 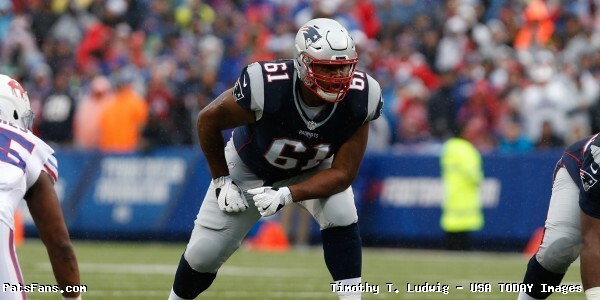 This entry was posted in Patriots Commentary, Patriots News and tagged 53 Man Roster Projection, Andrew Jelks, Bill Belichick, Cameron Fleming, Chase Farris, Cole Croston, Conor McDermott, Dante Scarnecchia, David Andrews, James Ferentz, Jamil Douglas, Jason King, Joe Thuney, LaAdrian Waddle, Marcus Cannon, Max Rich, Nate Solder, New England Patriots, Patriots, Patriots offensive line, Shaq Mason, Ted Karras, Tony Garcia on July 16, 2017 by Steve Balestrieri. Entering the final week of the 2017 regular season, the New England Patriots needed a win to secure the number one seed in the AFC Playoffs but needed to get past their prior struggles in Miami against the Dolphins, who had won three straight at home against them going back to 2013. In the first half, it was the Patriots who came out dominating on both sides of the ball as tight end Martellus Bennett scored the first touchdown of the game. After the Bennett score, wide receiver Michael Floyd found the end zone for the first time as a Patriot and the Patriots found themselves up 14-0 after one quarter of play. Six Dolphins failed to tackle Michael Floyd. In the second quarter, kicker Stephen Gostkowski tacked on two field goals to bring the Patriots lead to 20-0 as the time of possession continued to be owned by New England much to the dismay of Ndamukong Suh. That was the longest drive of the season for the Patriots both in terms of plays (15) and time (8:19). With 28 seconds to go until halftime, Dolphins quarterback Matt Moore found Jarvis Landry for a touchdown ending an impressive run by the Patriots defense. 20-7 Patriots at the half. Getting the ball back to start the third quarter, the Dolphins clawed their way back into the game as Matt Moore found Kenny Stills for another six as it was all of a sudden a six point game. It didn’t take long for the Patriots to answer, as wide receiver Julian Edelman recorded the longest touchdown pass of his career courtesy of one of the biggest blocks of the season by Michael Floyd. 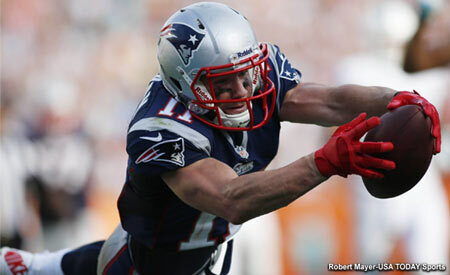 27-14 Patriots with 6:41 to go in the third quarter. The Dolphins tried to respond again, but the Patriots defense had other plans inside the red zone. TURNOVER: McCourty punches it out, Shea McClellin picks it up and returns it back inside the Miami 20yd line. HUGE turnover by the defense! Feels like that was the play the Patriots were waiting for all day. Give up a million yards over the middle, strip one eventually. Now inside the Dolphins 20 following the return, LeGarrette Blount made them pay with his 18th rushing touchdown of the season. Blount couldn't drag seven defenders into the end zone. What a slacker. A two point conversation to Julian Edelman saw the Patriots put the game out of reach at 35-14 with five minutes to go in the fourth quarter. At the games conclusion, Brady added another record to his resume. Tom Brady: 28 touchdowns, 2 interceptions. That TD/INT ratio is best in #NFL history. Only 2 INT's for #Patriots all year. Shattered record. On to the great unknown! This entry was posted in Patriots Commentary, Patriots Photos, Patriots Video and tagged Chris Hogan, Chris Long, Julian Edelman, Kenny Stills, LeGarrette Blount, Martellus Bennett, Matt Moore, Michael Floyd, Ndamukong Suh, Shaq Mason, Tom Brady, Trey Flowers, Vincent Valentine on January 5, 2017 by Robert Alvarez. Lewis Gets “Cleanup” on His Knee – According to NFL Media Insider Ian Rapoport, Patriots running back Dion Lewis will have to have a follow-up procedure on his surgically repaired knee, which is going to impact his availability to begin the regular season as he’s expected to begin the year on PUP. Lewis originally had the surgery in November following his injury, but according to the Providence Journal’s Mark Daniels, the veteran suffered a setback in July prior to the beginning of training camp, which apparently upon further review lead to the decision. The good news is, he could potentially be available at some point in 2016. The bad news is, the challenge Jimmy Garoppolo faces over the first four weeks just got a little tougher since Lewis definitely won’t be out there with him to begin the season. His injury will open up opportunities for players like James White and Tyler Gaffney, and it wouldn’t be a surprise if the Patriots also explore additional options in the coming weeks as they try and solidify a running back group that will be looking to improve off of a disappointing 2015. 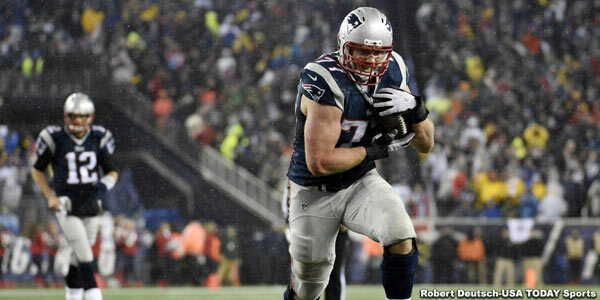 Another Injury for Vollmer – Sebastian Vollmer has had a tough run and it looks like things aren’t getting any better for him to begin 2016. According to Rapoport, Vollmer’s been dealing with a hip injury that has been the reason he’s been on PUP thus far and it’s not looking good for a return for the veteran right tackle. Rapoport reports that Vollmer is likely to stay there throughout the season, leading to more uncertainty on the right side, which will likely put Marcus Cannon back in the spotlight again this season. Cannon has looked better thus far and he has Dante Scarnecchia back to push him, and hopefully he’ll be able to play at a high level because it looks like he’ll probably see extended playing time this season. Mason suffers injury – More bad news up front after a report from the Boston Globe’s Jim McBride that guard Shaq Mason broke his hand, which is another blow to the group that dealt with quite a few injuries in 2015. Mason’s injury obviously isn’t as significant as Vollmer’s and the odds are good we’ll probably see him at some point, but given the timing of his injury it’s reasonable to think that he may miss time to begin the year with the start of the season just about three weeks away. Patriots Waive Safety – The Patriots had a transaction on Sunday, with NESN’s Doug Kyed pointing out a tweet from safety Cedric Thompson’s agent, David Canter, that said he’s been released. The move puts the Patriots roster at 88 with just over a week to go before the team will need to trim down to 75 players by August 30th. The mandatory league cutdown date when the Patriots will need to be at the 53-man limit to begin 2016 is September 3rd. Brady Missing From Practice – According to CSNNE’s Tom Curran, Tom Brady missed practice Sunday and is not expected to practice Monday, as the veteran quarterback is reportedly away with excused absences unrelated to his injury prior to the team’s exhibition game against the Bears where he missed the contest due to a freak injury to his thumb. 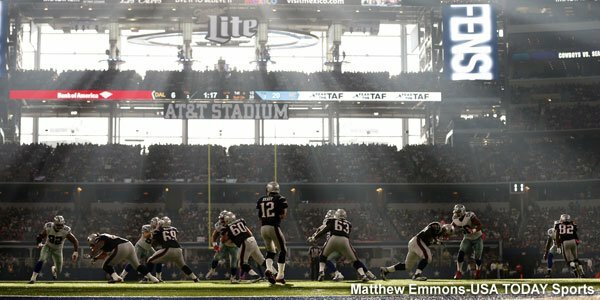 That was likely a tough one for Brady, who was expected to play in the game and now won’t get the opportunity to step back onto the field in front of the home crowd at Gillette Stadium until after his return from his four game suspension, which won’t be until October 16th against the Cincinnati Bengals. Patriots Take in a Movie Sunday Night – Bill Belichick spent Sunday night doing a little team-building, with the team taking a trip to the movies as they get set to begin preparations to face the Panthers this week. According to ESPN’s Mike Reiss, the team took in a screening of the movie “Deepwater Horizon” Sunday night, with coaches and players spending some time away from the gridiron in what has seemingly been a pretty productive preseason thus far. Patriots owner Robert Kraft was spotted meeting Mark Wahlberg prior to the screening, who stars in the film along with Kurt Russell, John Malkovich, Gina Rodriguez, Dylon O’Brien and Kate Hudson. The film will hit theaters on September 30th. Ninkovich Frustrated With Being Out – Rob Ninkovich had been a steady presence on the Patriots defense over the years, having not missed his last 102 straight regular season games, third best behind the Colts Kendall Langford (128) and the Packers Julius Peppers (128). But he’ll miss the beginning of 2016 as he recovers from a torn triceps, and the veteran linebacker told CSNNE that it’s been hard being out, but all he can do is try to stay in shape and continue watching film as he works his way back. Ninkovich suffered the injury back on August 9th during a joint practice with the Saints but is expected to be back at some point during the 2016 season. 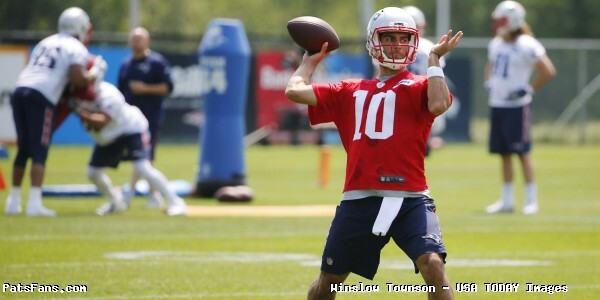 Garoppolo wired for success – The Chicago Tribune had a nice story on Jimmy Garoppolo, looking at the opportunity sitting in front of their local native as he gets set to take the reigns for the Patriots this season. According to the newspaper, not only was Garoppolo excited for his chance when the news came down that Brady would be dropping his appeal and letting the NFLPA move forward without him, but so was Garoppolo’s family, who gathered with the quarterback for dinner that evening. His brother, Tony Jr., revealed said, “It was just smiles around the table” as they celebrated the news. Garoppolo’s father, Tony Sr. is a union electrician who Tony Jr. said has “never worked a 40-hour week in his life,” with their father being someone who puts in a lot of overtime as he did what it took to take care of his family and that he deserves a lot of credit for the QB’s work ethic. That hard work has clearly begun to pay off and his family now has plenty to be happy about given how Garoppolo played Thursday night. He finished 16-of-21 for 181 yards and a touchdown and looked very much in command of the offense for much of the night. He’ll face a different test over the next two weeks as he’ll be on the road playing against a little more of a hostile crowd against both the Panthers this Friday night, followed by the Giants next Thursday, which should be interesting to see how he handles playing outside the friendly confines of Gillette Stadium. The third game is considered to be the “dress-rehearsal” for the opener, with Garoppolo expected to be the guy who one would believe will start as he tries to build off that performance against the Panthers Friday night. He’s grown a lot just in these past two weeks, so hopefully we’ll see this week show just how ready he is heading into week 1. This entry was posted in Uncategorized and tagged 2016 Patriots PreSeason, Bill Belichick, Cedric Thompson, Dion Lewis, Jimmy Garoppolo, Patriots injuries, Sebastian Vollmer, Shaq Mason, Tom Brady on August 22, 2016 by Ian Logue. The Patriots head into training camp in just a few weeks and there should be no shortage of competition at a number of spots. As a lead-in to the beginning of camp, we’ll break down the positions and give our take on who is a lock, a near lock for the 53-man roster and who is on the bubble. Next up is the Offensive Line. So next on deck are the big bodies on the Offensive Line. 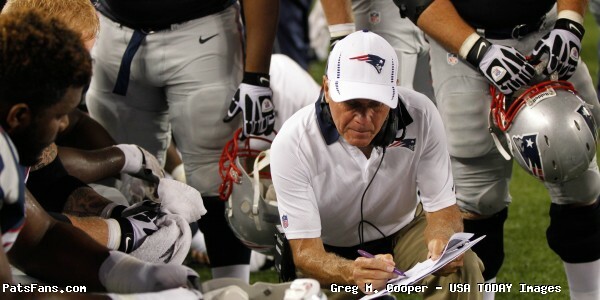 The team is banking heavily on the return of positional coach Dante Scarnecchia who was retired for two years. He’s a tough taskmaster who demands the most from his charges. The health of this group is a big question mark; injuries ravaged them and the protection of QB Tom Brady steadily got worse as the season progressed. Health is the key here, Solder was lost in Dallas Week 5 for the season with a torn bicep. Vollmer battled injuries throughout the campaign and has knee and back issues. But if both are healthy they’ll be your starting tackles. One would have thought that the tackle position would have been addressed in either free agency and the draft but it was not. We’ll see how that turns out later this year. The Pats didn’t draft Thuney to sit on the pine, and with Mason, Jackson and Kline MIA this spring, he took the starting reps at left guard whenever Brady or Garoppolo was on the field. He even took a few at center. Mason finally appeared in the last spring workout and had 10 starts as a rookie. Coming from the running game of Georgia Tech, he’s an excellent drive blocker but as one would expect, had issues with his pass blocking. Andrews, who started all the games early last season and played fairly well is undersized but tough. In a surprise move, he was getting the starting reps over Bryan Stork this spring…something to keep an eye on. Cooper was a top draft pick for the Cardinals before injuries derailed his career there. With the aforementioned players out this spring, he got the starter’s reps at right guard. 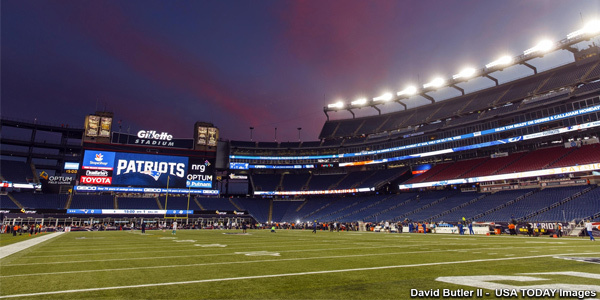 The Pats are hoping that Scarnecchia can rekindle his professional career. Stork, who played so well as a rookie at center, missed the first six weeks of the season on IR-Designated to Return and struggled as he had health issues of his own last year. Stork even played at right tackle against the Giants as Cameron Fleming and Marcus Cannon struggled. It will be interesting to watch the competition between Stork and Andrews this summer. With Thuney providing added insurance, the pivot position should be in good shape. Cannon, is the ultimate head scratcher for this team, but Bill Belichick and Scarnecchia love this kid. He was ineffective last season when pressed into starting duty and was just abused in the AFC Championship Game in Denver. As the saying goes, we’ll see how it plays out on the field. Waddle has the opportunity to seize the swing tackle position. He too was hurt against the Cowboys and his shoulder injury sidelined him. But the Patriots gave him a two-year contract this offseason and he also has the capability to be an extra blocking tight end in short yardage. Jackson was a rookie draft pick (4th Rd, 111th overall), a year ago and had nine starts while appearing in 13 games. Prior to coming out in the 2015 NFL Draft, he had knee issues and he missed time with those during the season as well as missing both playoff games. If he’s healthy he’ll compete for the right guard spot, where he saw all of his action a year ago. But he missed all of the spring, so his status will bear watching once training camp begins. Kline is a guy who the Patriots traditionally love, an undersized but tough player. He too missed all of the spring. With the additions of Thuney and Cooper along the interior of the line, he may find himself on the outside looking in. Fleming flopped as a swing tackle a year ago, like Cannon was ineffective when pressed into service. But the last offseason, the Patriots fiddled with the idea of moving him to guard. He was training to do just that, cutting down on his weight a bit and improving his quickness. We saw the video of his workouts last spring and it seemed he was destined to move inside. But the team drafted Mason and Jackson last spring and Fleming went back outside. The results were not good. Perhaps with a full offseason with Scarnecchia, Fleming can get his game back together. The swing tackle position will again go thru Cannon, Waddle and Fleming. Karras is a tough kid that has a lot of upper body strength, completing 32 reps on the bench press at his Pro Day this spring. The 6th round draft pick has an NFL pedigree and is a good pass protector but isn’t very athletic and may find himself a practice squad candidate unless he can shine in limited opportunities. Both of these players have been let go in the past and face long odds of making the roster out of training camp. Barker was originally claimed off of waivers from the Miami Dolphins in the 2013 season and appeared in four games. During the 2014 season, he split time between the practice squad and the active roster and appeared in two games. Last season he was signed to the active roster for the Week 10 game against the Giants before being released and signed back to the practice squad. This entry was posted in Patriots Commentary, Patriots News and tagged 2015 Patriots Season, 2015 Patriots Training Camp, 2016 NFL Draft, 2016 Patriots Roster, 53 Man Roster Projection, Bill Belichick, Bryan Stork, Cameron Fleming, Chris Barker, Dante Scarnecchia, David Andrews, Joe Thuney, Jonathan Cooper, Josh Kline, Keavon Milton, Marcus Cannon, Nate Solder, New England Patriots, NFL, Patriots, Patriots offensive line, Sebastian Vollmer, Shaq Mason, Ted Karras, Tom Brady, Tre' Jackson on July 18, 2016 by Steve Balestrieri. The Patriots have an opening on their coaching staff for an offensive line coach after coach Dave DeGuglielmo’s contract wasn’t renewed after the 2015 season. DeGuglielmo replaced a legend in Dante Scarnecchia who retired after the 2013 season after a 32-year NFL career, 30 of which where he was a member of the New England Patriots. He spent his final 15 seasons as the Pats OL coach. Now Mike Reiss from ESPN is reporting that the team is in contract talks with bringing the legend back into the fold at his old position. While fans are rejoicing at the news, perhaps it isn’t the best choice long-term for the team or Scarnecchia. But for the time being, this will work just fine thank you very much. Granted, no one is a better OL coach for this team than Coach Scar, who filled his retirement time with helping the team scout future offensive linemen and was actively involved with the draft. He was the lead man on the Patriots drafting Bryan Stork and Tre’ Jackson from Florida State, Shaq Mason from Georgia Tech and David Andrews from Georgia. He knows these players better than anyone, their strengths, weaknesses and how they can be best utilized. Plus, he’s always gotten the very best out of his linemen. One of the enduring images of Coach Scar is watching him run the wind sprints at the beginning of practice during training camp with his players. No one worked harder nor expected …and got more from his players. So while the short term box is definitely checked, what does this mean long-term? Scarnecchia who will turn 68 on Valentine’s Day, retired for a reason. He was obviously tired of the grind and at 66 two years ago, was ready to step back and enjoy his time with his family. He remained in contact with the team however and as we mentioned, did the scouting for the Patriots on several members of the current roster. 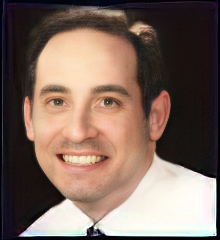 The only questions really would be, did the two years off recharge his batteries and his desire to return to coaching? Or is Scarnecchia just being a good soldier and is answering the call, running to the sound of the guns as an old war horse is apt to do. The best case scenario would be to have Scarnecchia work with the team this season and then help them find a suitable long-term offensive line coach, someone familiar with their offense and the players to find what would work best for how they’re currently constructed. So for 2016 at least if they can get a deal worked out, the Patriots will have one of the very best position coaches ever, back in the fold. And if they have issues this season on the offensive line, coaching won’t be the reason. 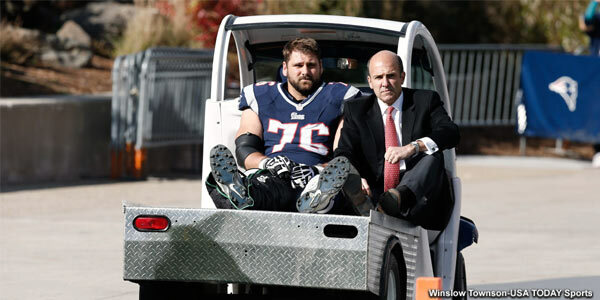 This entry was posted in Patriots Commentary, Patriots News and tagged 2016 Patriots Roster, 2016 Patriots season, Bill Belichick, Bryan Stork, Dante Scarnecchia, Dave DeGuglielmo, David Andrews, Florida State, New England Patriots, NFL, Offensive line issues 2015, Patriots, Patriots offensive line coach, Rick Trickett, Shaq Mason, Tom Brady, Tre' Jackson on February 8, 2016 by Steve Balestrieri. The New England Patriots sitting at 8-0 and in great position as one of only two undefeated teams in the AFC and one of three in the league. So this is a good time to take stock of the performances so far in 2015 and give a grade and outlook moving forward by position. The Jets are 3+ games back at 5-3, Buffalo is 4-4 and Miami, which was thought to be a playoff contender sits in last place with a 3-5 record. Barring a disaster down the stretch, the Patriots are in great shape to repeat as division champions. 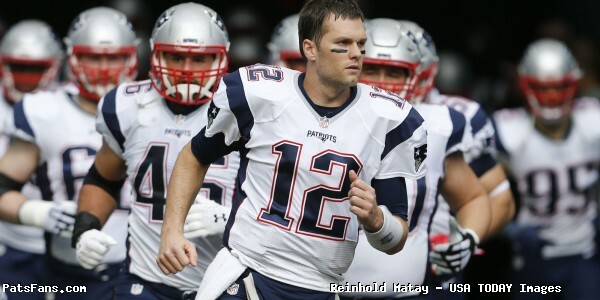 This entry was posted in Patriots Commentary, Patriots News and tagged 2015 NFL Season, Bill Belichick, Brandon LaFell, Bryan Stork, Buffalo Bills, Chandler Jones, Danny Amendola, Dion Lewis, Foxboro Stadium, Geneo Grissom, Indianapolis Colts, Injuries, Jabaal Sheard, Jimmy Garoppolo, Julian Edelman, LaGarrette Blount, Malcolm Butler, Miami Dolphins, Nate Solder, New England Patriots, New York Jets, Patriots, Patriots edge rushers, Patriots Training Camp Photos, Pats, picks, Pittsburgh Steelers, Rex Ryan, Rob Gronkowski, Rob Ninkovich, Sebastian Vollmer, Shaq Mason, Social Media, Tom Brady, Tre' Jackson, Trey Flowers on November 9, 2015 by Steve Balestrieri.